Hey Mark, thanks for doing this. I'm going to ask the important questions to save everyone else the trouble. Do I, or do I not, take Connor McDavid first overall in my fantasy league? Depends if you're counting hits and shots too. Mcdavid will be top 5 in points if he's healthy, but a player like Ovi not only scores a ton, he hits and shoots like a mad man. 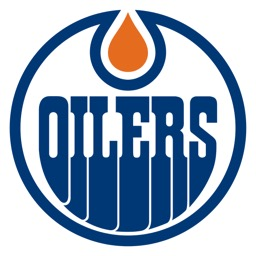 Outside of Puljujarvi and Caggiula who would you say is the best prospect in the oiler pipeline? I'm not saying it is Tyler Benson, but he is most intriguing for me. Benson was, at one time, a consideration for Exceptional Player Status in junior. Then injuries slowed him. ANd weird injuries - the kind that should not return. If he can stay healthy, how good could be become? WHL scouts have been raving about him since he was 16. So... who would you say is? Thanks for being angry when MacTavish held a press conference to announce he wasn't firing Eakins. Someone needed to step up, and you answered the call. I'm not sure he called that press conference to announce he wasn't firing the coach! But thanks. I appreciate the kind words. Hey Spec, where does Gene keep his book of puns? I think it's more of a 'Gene in a bottle' kind of thing. To be honest we should keep it on the down-Lowe. yea, let's not leave him out to Drai. I need a Nurse after that pun, because I almost Fayne-ted. Damn man, you really Nail'd that one. Further, can you talk him into publishing it? I imagine that thing is more locked down than Fort Knox. I'll ask you what was asked in a thread earlier. Do you think the Oilers should/will look at bringing in Horcoff on a PTO to compete for a 4th line/PK spot? No. As solid a citizen as Shawn is - and a truly believe that — I do not believe he can skate well enough at this point in his career. He'd help lots off the ice, but not enough on it, IMO. Hey folks, here to talk hockey, Twitter, even Ben Eager! We're buds - know each other for years. But we don't agree on much, do we? Does everyone in the media and blogsphere get along? Do you have good relationships with guys like Rishaug, Gregor, Etc?